Photo Credit for the images go to Kirsten Holloway Designs. There was an error in the pattern on the website. This has been fixed and updated as of 2/29/2019. The pdf pattern is correct. The Way it Goes Square has been a labor of love. 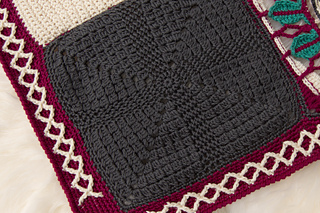 It was specifically designed as a collaborative effort, with other designers, in the Creative Crossing Blanket. 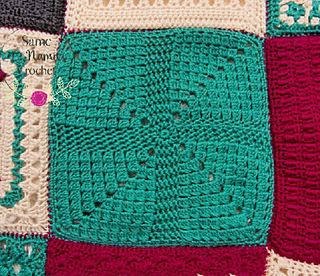 This blanket was given as a surprise gift to Lorene of Cre8tion Crochet as a thank you for her mentorship and guidance to myself and others. Join to the top of the chain. 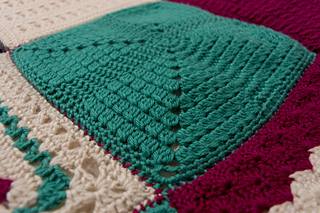 Your square may curl a little, this is because of the stitches used. A light blocking may help. You only need about 1/2 skein for one square.